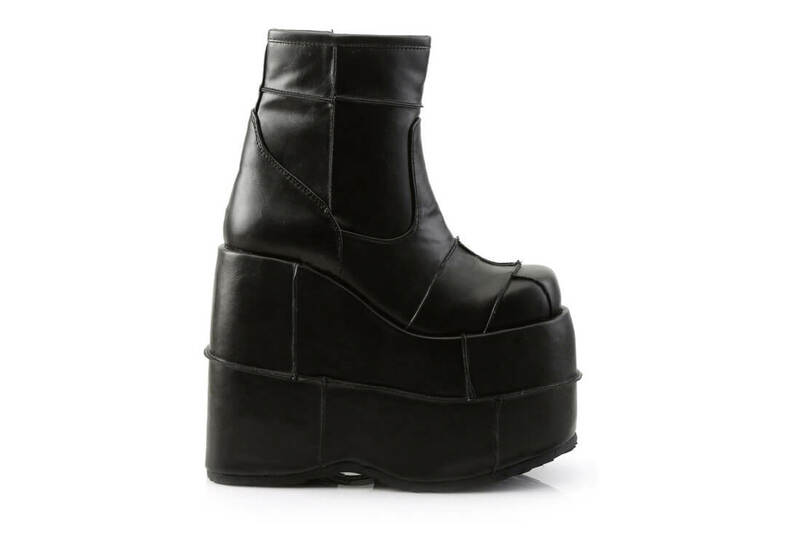 These monstrous seven inch tall platform boots will make you tower over everyone. 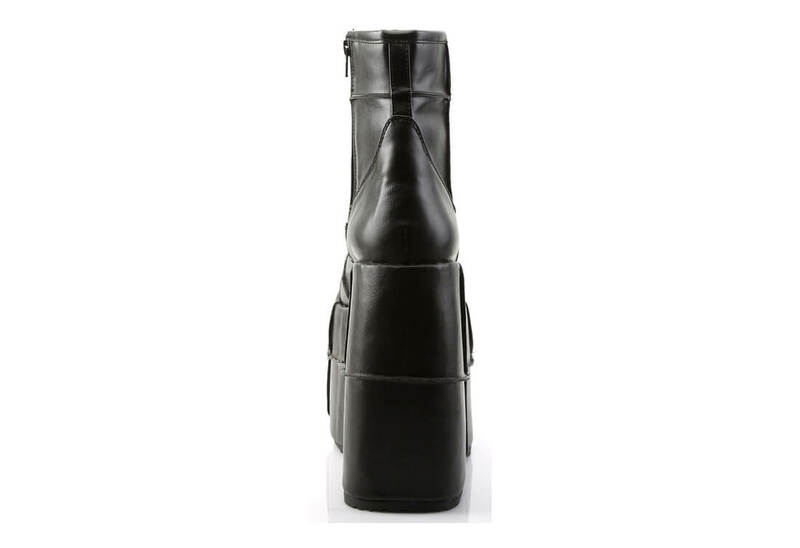 The Stack-201 is made from black vegan leather and has a side zipper. 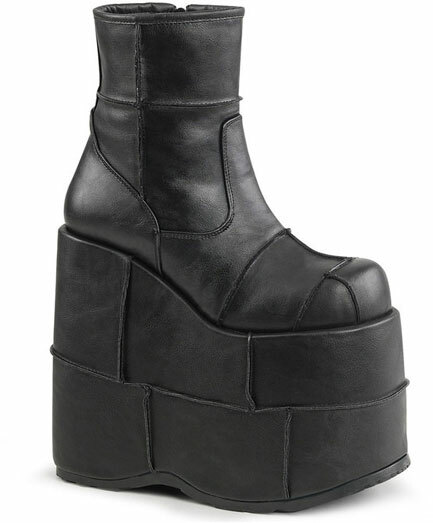 The entire boot including the platform is covered with patching making this a very unique pair of men's platform boots. 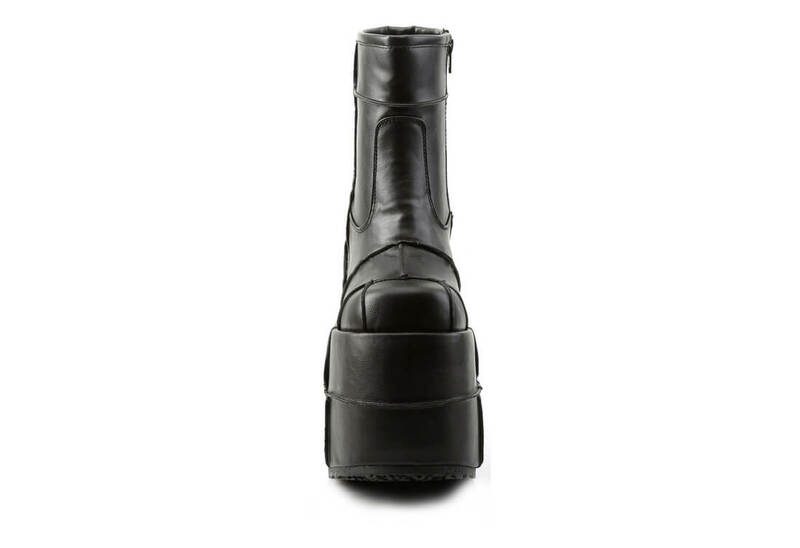 We will be honest, it does take a little while to get used to wearing such high boots but, once you do you will never want to take them off. 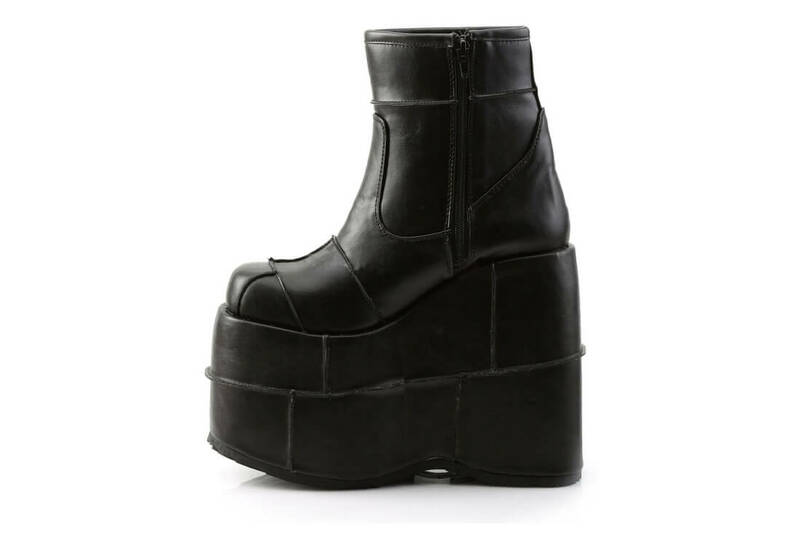 What is the width of your 7 inch platform boots? I take a wider than average. 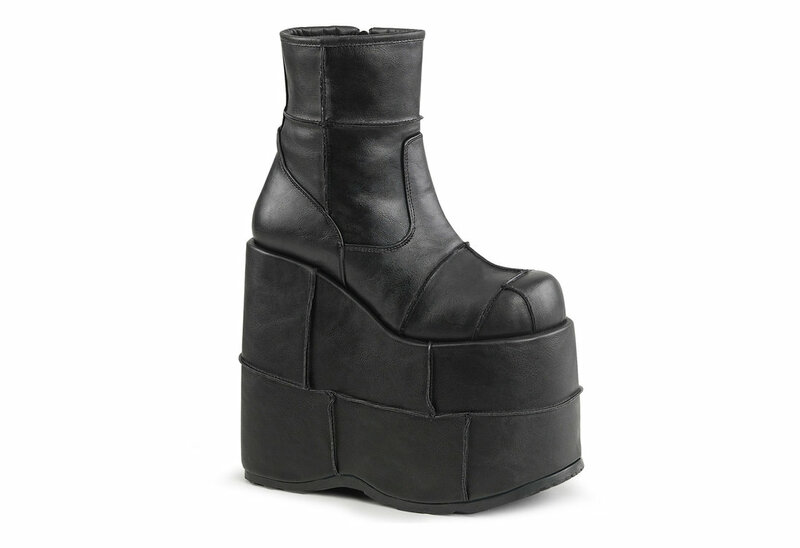 The STACK-201\'s come in medium width. Answered by Blue on Wednesday 07 November, 2018.